CNN’s Chief White House correspondent, and a reliable thorn in the side of President Trump and press secretary Sarah Huckabee Sanders, had his press credentials revoked today after a contentious news conference this afternoon. He was asking a question of the president when Trump was trying to move on, and an intern attempted to take the microphone from Acosta and pass it along to the next reporter. But Acosta kept on, trying to ask his question. The White House did not like that. I hope the press corps stands behind him. Watching from Switzerland I was outraged, sickened and embarrassed by our fake president’s behavior, deflections and lies. Jim Acosta is one of your best and I’m proud of CNN for standing behind him. trump (lower case on purpose because he doesn’t deserve to be a proper noun) needs to go prison…Mueller, bring it on! This is how a DICTATOR operates. Thank God the awful arrogant Jim Acosta has been removed the two snowflakes who have written above think the press has the right to do anything they please they don’t and acosta’s behaviour towards the female trying to take the mic was borderline assault. He is what CNN is today a rude little spoilt brat. You have to wonder how many times he expected to be able to pull off the “continue asking questions after your turn” thing before something like this happened. It certainly makes for entertaining television, which I suppose is ultimately the goal, but you can only do it X number of times before there’s some sort of consequences. You should be ashamed of yourselves for taking up for a rude Acosta. Had that been Obama they would have been escorted out immediately. View this clip as if the intern was your daughter and the president was your father , then make your decision, they didn’t deserve such treatment ,so disrespectful but i’m sure you didn’t notice that. Tell Acosta to sit down after he answers his question instead of trying to get a big news story which he got but at whose expense! 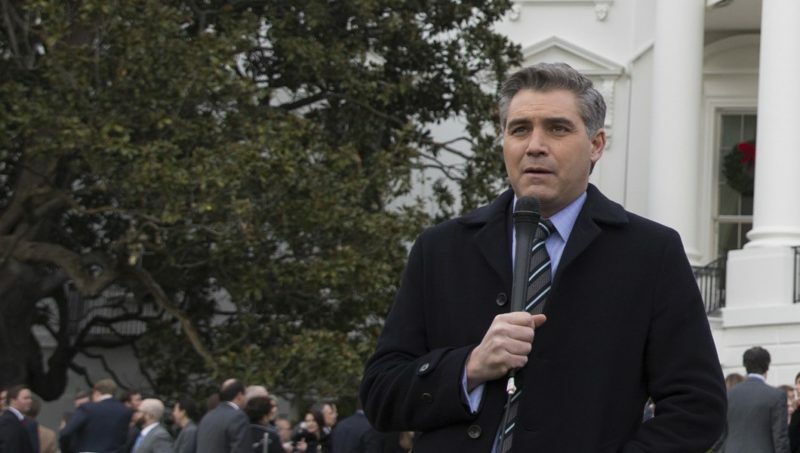 CNN needs to apply some standards of behavior from its commentators.Acosta a “reporter”, is not in a position to argue and debate with the President,rather he is there to respectively ask questions and receive an answer and move on. Stop supporting the actions of incivility and the thoughts of the unruly mob. I miss the “old days” of CNN.